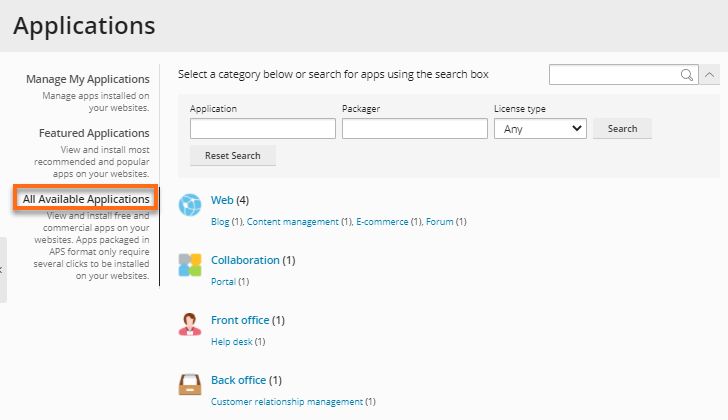 There are several free applications available for installation via the Plesk control panel. In this tutorial we will be installing Joomla which is one of the leading Content Management Systems. Note: This example is using Plesk 10. The steps will be the same for other versions of Plesk, however, the button locations may be different. 2. 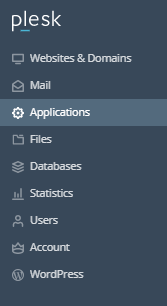 Click on "All Available Applications"
3. 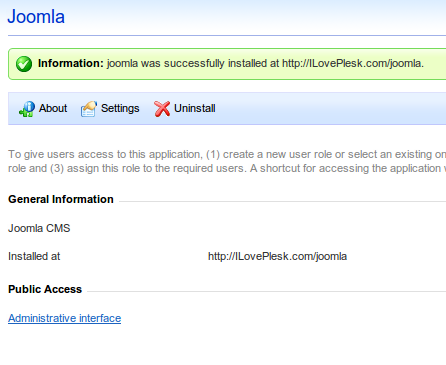 Click on Web then Scroll and find Joomla and then click on the Install button. 4. A GNU Public license page will come up. Please read the license and check the check box next to "I accept the terms of License Agreement" and click "Next"
8. Press the Install button. which says "Installed at" provided in the final screen.